Boston – Global relief and development organization Oxfam America celebrates powerful mothers worldwide with its symbolic gift-giving campaign, Unwrapped. The campaign asks shoppers to give meaningful gifts to the important women in their lives as Mother’s Day approaches. Oxfam is encouraging supporters to honor a mother in their life by supporting women entrepreneurs around the world at oxfamgifts.com. 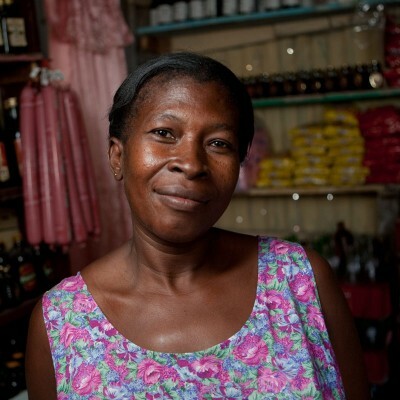 A gift of $100 can help start a village savings group led by local mothers. These groups provide a safe space for women and teach them to save and lend in parts of the world where banks are not a viable option. Within these groups, mothers can use loans to start or grow small businesses that will benefit their families. Additional gifts that give back from Oxfam Unwrapped include equipment and training for midwives in rural communities ($150) and a school meal program for a child ($35). All purchases come with the option to mail, print or send a personalized e-card to the gift’s recipient, explaining how it helps families worldwide. Oxfam’s Unwrapped catalog (available online at oxfamgifts.com) offers items that symbolically represent the organization’s lifesaving work. Each purchase is a contribution toward Oxfam’s many programs that help people living in poverty throughout the world. Oxfam America is a global organization working to right the wrongs of poverty, hunger, and injustice. We save lives, develop long-term solutions to poverty, and campaign for social change. As one of 17 members of the international Oxfam confederation, we work with people in more than 90 countries to create lasting solutions. To join our efforts or learn more, go to www.oxfamamerica.org.